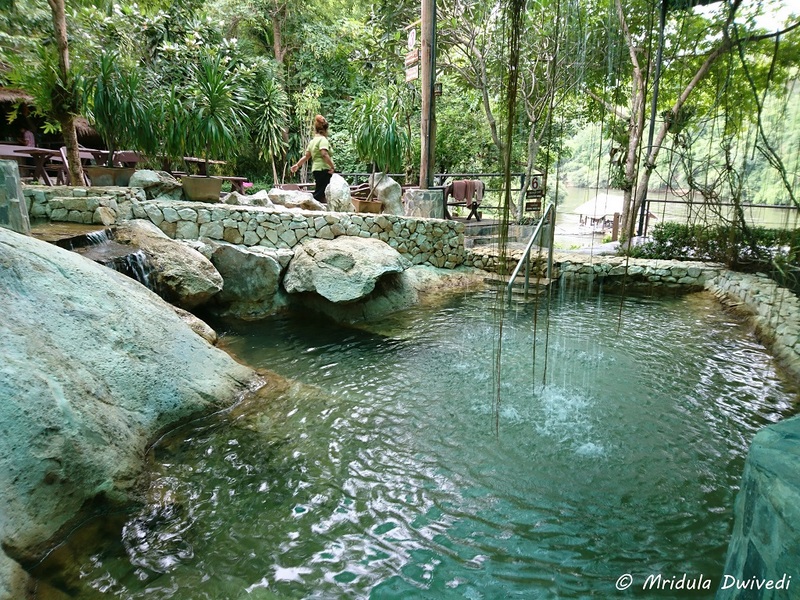 Rock Valley Hot Spring and Fish Spa in Kanchanaburi, Thailand was an experience like no other. You can check out the company website here. I am going to concentrate on the hot springs and the mud treatment because I realized long ago that fish spa is not for me! Kanchanaburi is located in the West of Thailand, it is less that three hours drive from Bangkok. Kanchanaburi is famous for the Bridge Over River Kwai but that somber story is for another day. Today I talk about the spa. At the spa I was asked if I would like to try out the mud body treatment. I had seen the pictures of it in the lobby and it looked like incredible fun. At the spa you are allowed to wear the dresses they provide, they do not allow bikini within the premises. For men too, no swimming trunks are allowed. The dresses they give are nice too. After changing, I went to my hut inside the premises and my host painted me black, literally! I was such a sight (and fright), but the good bit was so was everyone else! I had carried my cell phone with me so I could take some pictures. You Get to Wash it Off at a Waterfall! 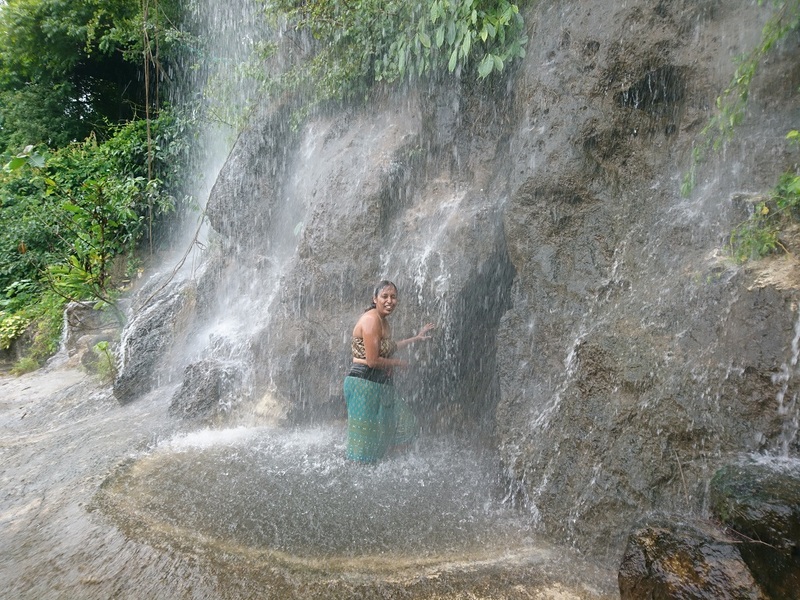 After the mud dried, I got to wash it off at a waterfall, within the premises of the spa. Later I showered and thought the fun was over, but I was wrong. Our guide, Wanna, told me that I could go and check out the hot spring pools. And there are many within the premises. There was a fish pool too but I gave it a miss. The hot springs are formed out of naturally occurring springs. They add flavors to it. I tried the orange pool, the coffee pool and the milk pool too! As it is hot water they advice you not to spend too much time within it. All the pools are clearly marked with the expected pool temperature both in English and Thai. By the time I was out, my skin was glowing. I had a shower again and it was time to head back to my hotel. I did a lot of things in Kanchanaburi but when it came to writing I picked up the spa experience first because it was so different from a normal spa and it was so much fun! PS. I was invited by Tourism Authority of Thailand on the ‘Thailand Through Her Eyes’ trip as a photographer!